Daniela Roggeri born in Alessandria Italy in July 1953. From 1972 to 1976 she collaborated with the Graphic Studio of Armando Ceste in Torino. And graduated from the art school of Florence in 1977. Daniel Joffe born in Genova Italy on December 1949.Graduated from Classic studies High school Genova in 1970. Then followed Philosophy and Political Science course at the University of Genoa. In 1974 Daniel Joffe Moves to Milan, responsible for the “Petersburg Press” in Italy. He organizes the exhibition of the graphic works of Jim Dine at “Palazzo dei Diamanti” Ferrara. Collaborates with Folon for his “Kite Book”. Publishes the collection of posters “Hommage to Brera” and organizes the exhibition of the original drawings at the Art Deco Museum. Louvre. Paris. Publishes the Art Book “Della Pazzia” by Roberto Sambonet. Organizes the first personal of Moebius in Milano. Distributes “Les Umanoides Associee” in Italy. 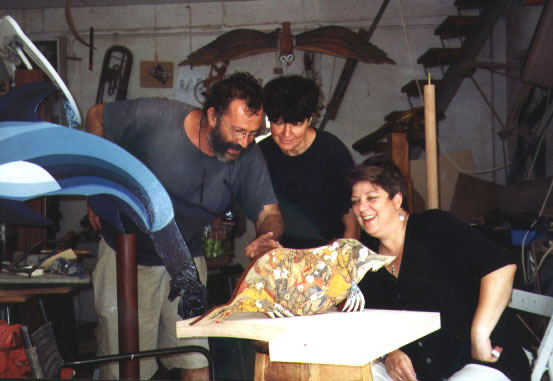 In 1978 Daniela Roggeri attended the faculty of Architecture in Florence. Instead of graduating she acquired a captain’s sailing license and embarked on voyages towards the south seas. From then she sails, writes and photographs for the “the sixth continent” magazine. In 1979 Daniel embarks for Africa where he travels for two years. In 1980 Daniela Roggeri worked as a graphic designer for “Agip” in Congo Brazza during a trip where she and her future husband Daniel Joffe visited Africa by foot. In 1982 she married Daniel in Gaiole in Chianti Italy where their first child was born followed by the second in 1984 in Naharya Israel. They invent a Project of artistic expression in which mechanism built with playable intentions become an international alphabet capable of enforcing communication between diverse cultures. They verify and enrich this hypothesis living together on board their boat with their two sons. Sailing and exhibiting the results of their work from country to country. 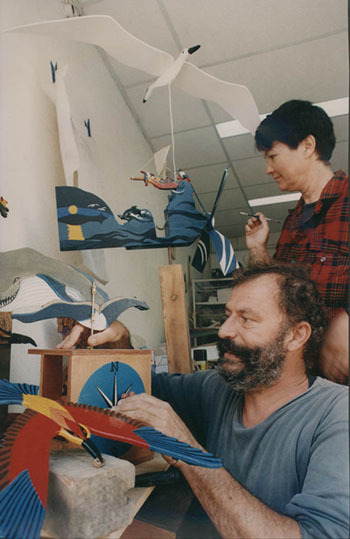 The family of four continues sailing the seas and begins to design and build animated objects inspired by legends, literature and culture of the varying countries they visit. Their works have animated the harbors of Rodos, Malta, Minorca, France, Crete. 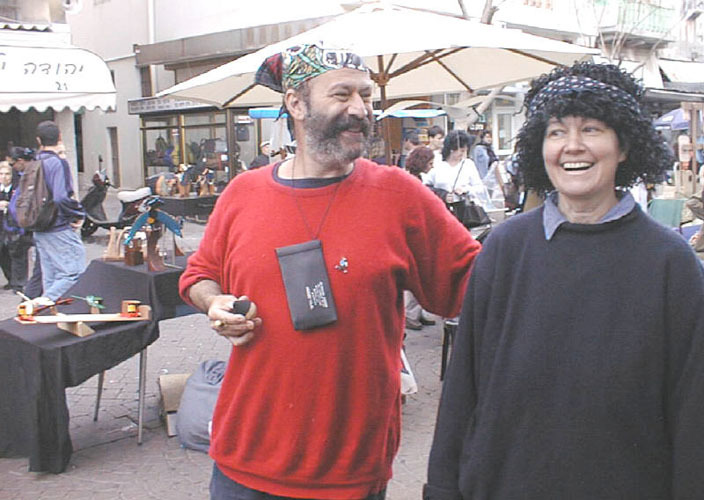 In 1995 they become Israeli citizens after many previous visits to the harbor of Akko. Since then they exhibit and sale at the Midrahov in Nahalat Byniamin in Tel Aviv.